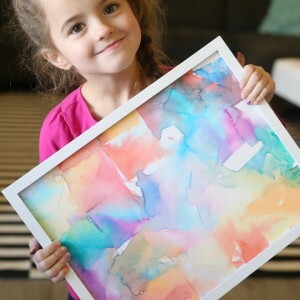 I’ve often wondered why my kids don’t like coloring, and I’ve finally realized that maybe a plain sheet of paper or even your basic coloring book just isn’t quite exciting enough to hold their interest. So I’ve gathered up 20 awesome things to color that will hopefully engage kids and keep them happy (and quiet!) for more than 15 minutes. 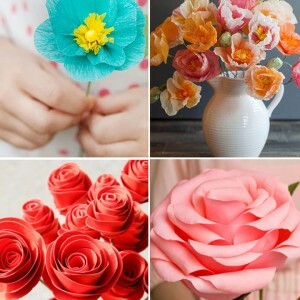 Many of the items linked in this post are free printables; however, a few are from Amazon, and those links are affiliate links. Please remember that if you’d like to print or pin any individual printables to click through to the original source to do so – thanks! 1. 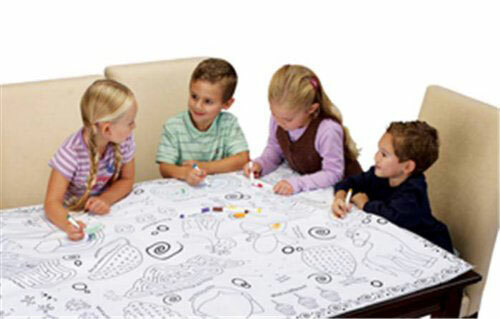 I remember coloring plastic tablecloths as a kid, but this Giant Activity Table Cloth is even cooler – as long as you use washable markers on the double sided cloth you can wash it clean and color it all over again! 2. 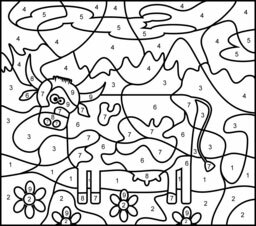 Check out Color it By Numbers for a variety of color by number sheets for younger kids, complete with slightly more complex and super-simplified versions. 3. 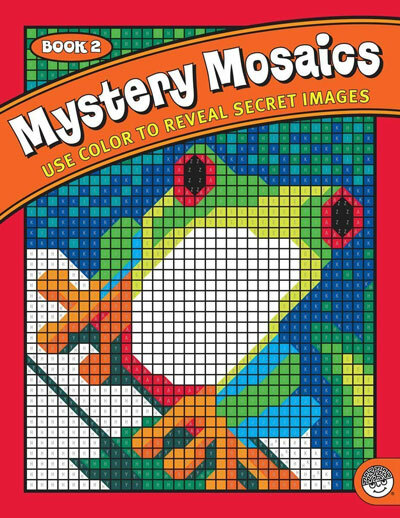 For older kids, this Mystery Mosaics Color by Number makes coloring by number even more fun – the pictures are all made with tiny squares (like a pixelated photo) so you can’t even begin to tell what the photo will be until you start coloring! 4. 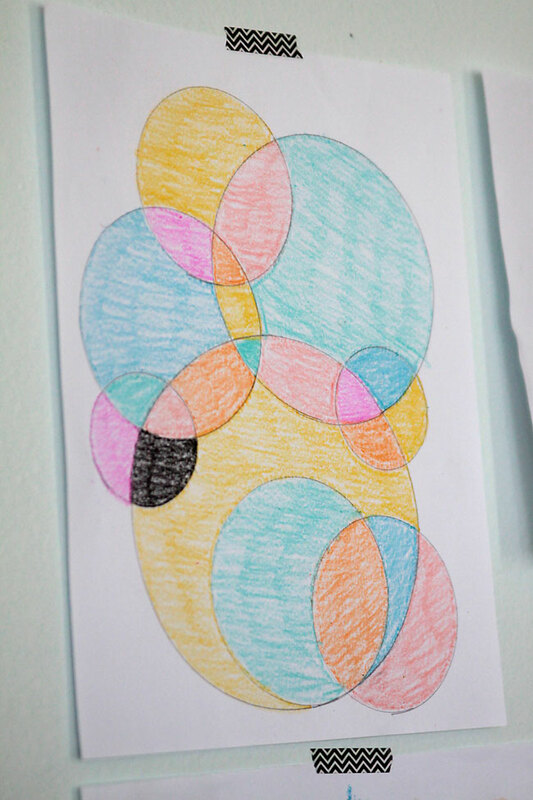 Grab some tupperware lids, cups, and bowls, and trace overlapping circles on paper, then color in with different colors for easy circle drawings. …maybe not. HOWEVER, you can completely customize the cartoon face, changing the size, placement, and orientation of each feature – including angling eyebrows in to make “angry eyes.” The story studio then creates a 6-page story using your new character that you can print and color. All in all it’s pretty fun! 6. 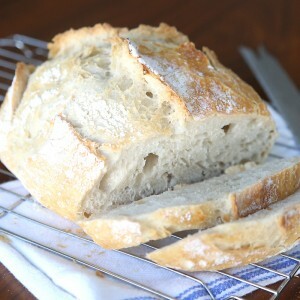 Made By Joel is seriously one of the coolest blogs ever if you have little kids. 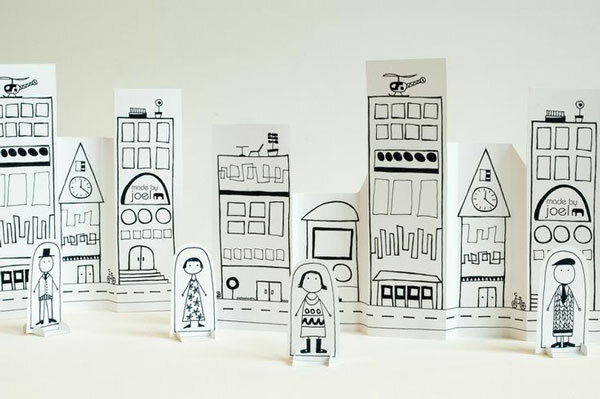 He has tons of great ideas for fun, including entire printable paper cities – so awesome! 7. 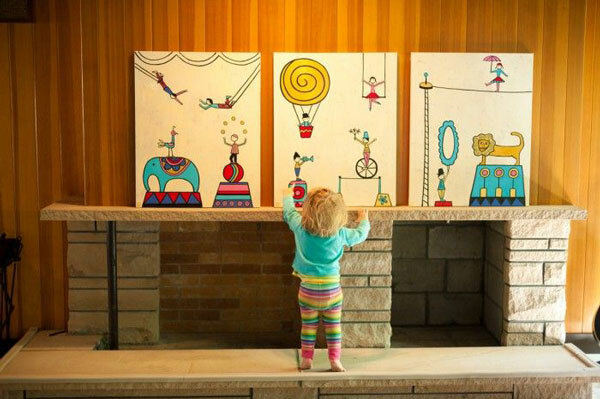 More awesomeness from Made By Joel – great big circus panels to color! 8. 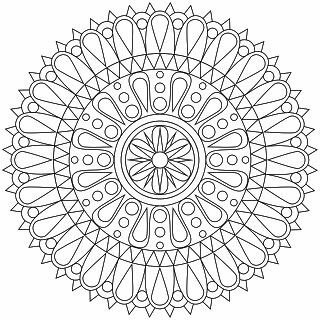 Mandalas are intricate circular drawings that are lots of fun to color, especially for older kids, and Don’t Eat the Paste has quite a few to print for free. 9. 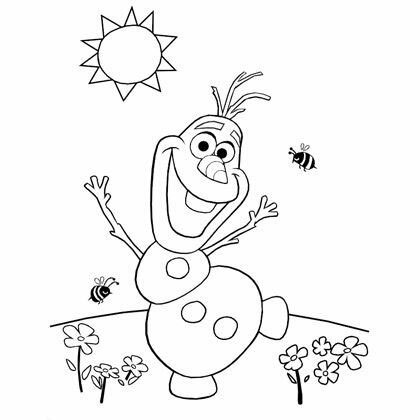 Sure to delight your younger children, this free Olaf coloring printable is offered by Spoonful. 10. I know dot-to-dots are strictly coloring, but they are a pretty fun way to draw. 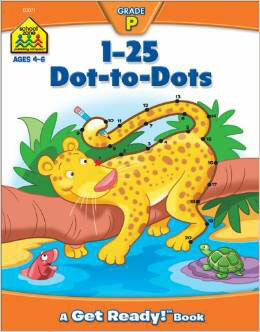 My young kids love these simple 1-25 Dot-to-Dots , while my older kids spend hours (I’m not exaggerating!) 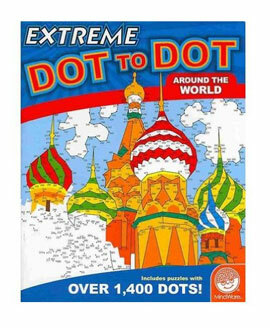 working on the amazing Extreme Dot to Dot books – a single dot-to-dot can contain over 1000 dots spread across two pages. They’re awesome and totally worth the $8! 11. 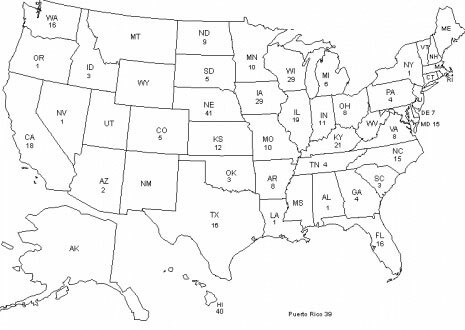 Why not get a jump on fifth grade geography with an American States Map coloring page? 12. These little robots from Dabbles and Babbles are adorable! 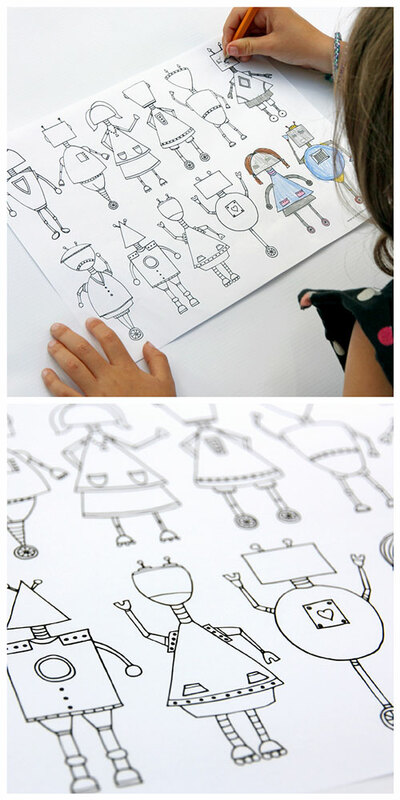 Little girls and boys would both love to color these in. 13. Dabbles and Babbles also offers an adorable blank faces coloring page sure to spark some creativity. 14. 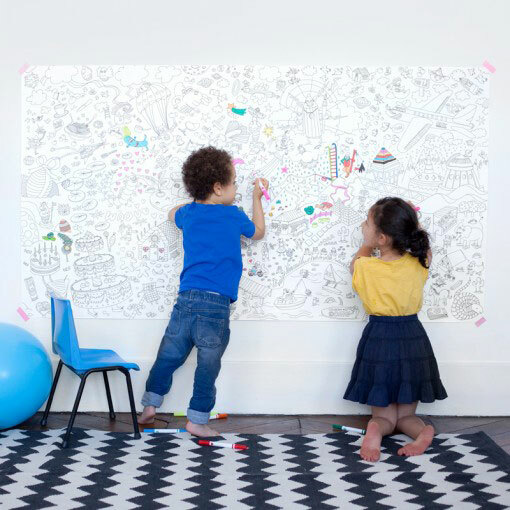 This fantastic coloring wall print is available from the OMY shop – it looks like lots of fun! 15. 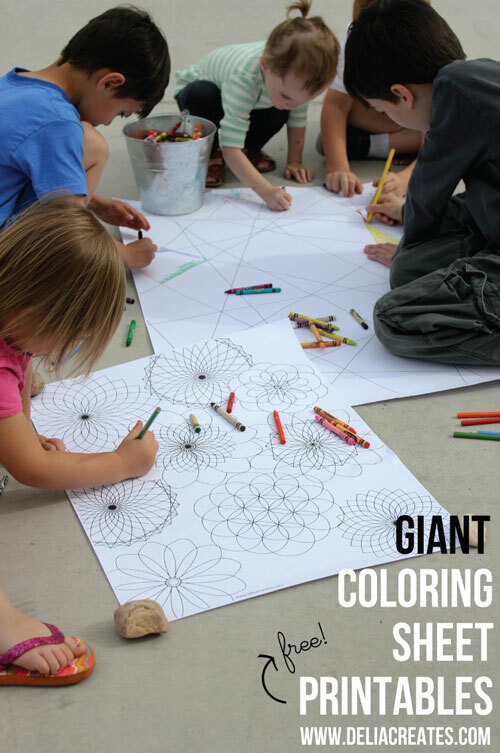 These giant coloring sheets from Delia Creates are big enough for siblings or friends to work on together. 16. 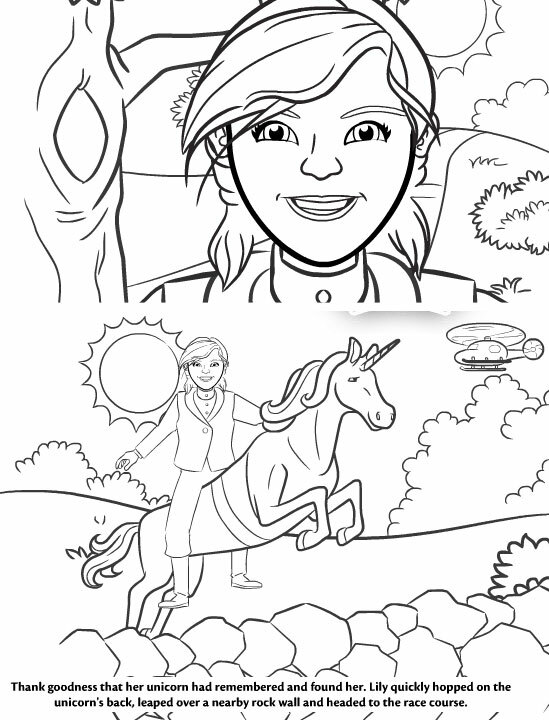 For a different sort of coloring printable that will appeal to older kids (and moms! 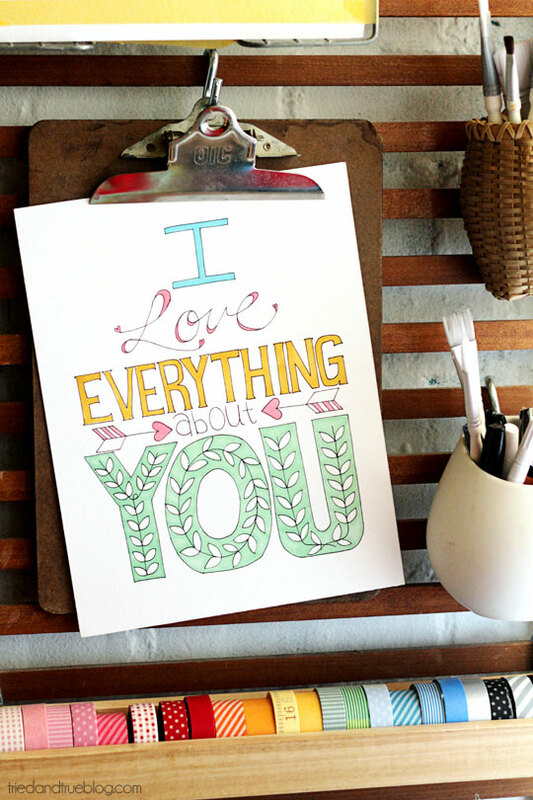 ), check out Tried and True and her great collection of quote printables you can color in. 17. 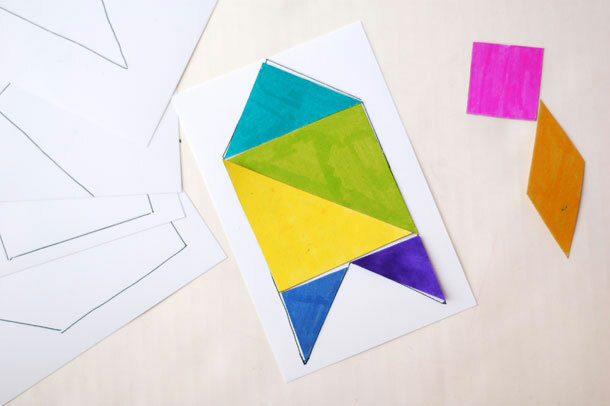 Compulsive Craftiness shares a template for a tangram – a square divided into different shapes. 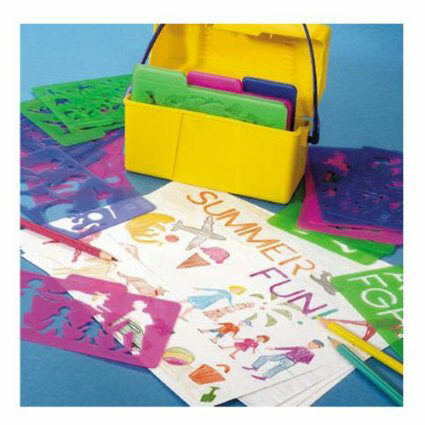 Kids can color each section, cut them out, and then use the different shapes to make pictures. 18. 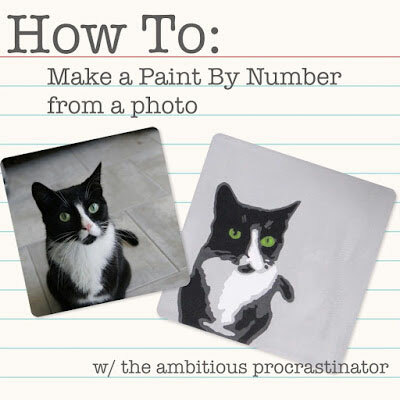 If you’re looking for a project of your own, or one for an older child who’s pretty artistic, check out this tutorial for creating your own paint by number artwork from The Ambitious Procrastinator. 19. 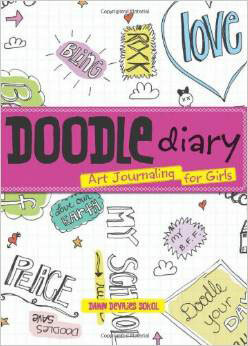 For a child who likes to draw, check out the Doodle Diary: Art Journaling for Girls or The Boys’ Doodle Book, both of which offer doodling prompts and drawing tips to get kids thinking and drawing creatively. Instead of being a one time project, both these books can provide hours of entertainment. 20. 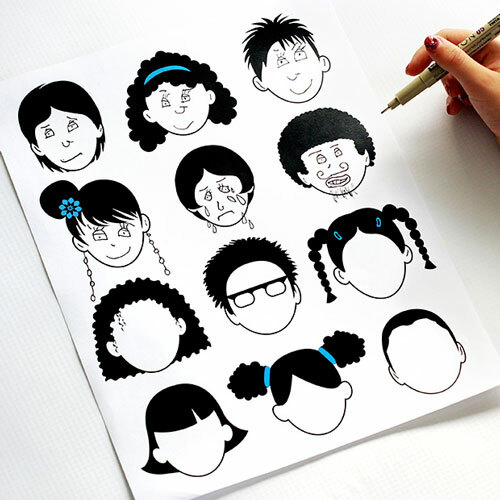 My 11 year old twins LOVE this set of 24 Creative Plastic Stencils from Highlights . The set includes over 200 images of animals, flowers, letters, people, dinosaurs, holidays, and more, and they make a great starting point for some very cool drawings. 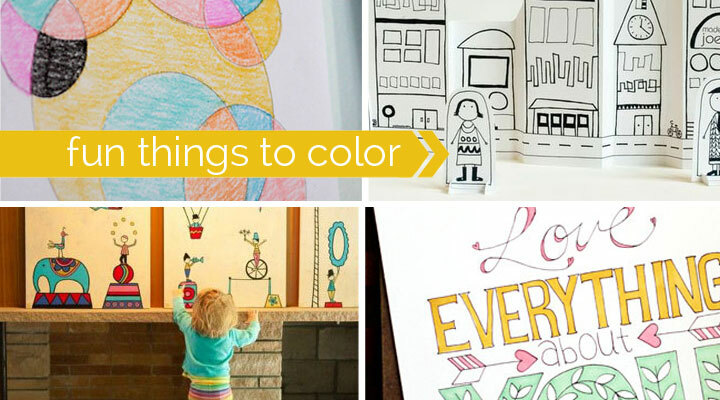 Do your kids have any favorite things to color? Let us know in the comments! My kids LOVE Dover coloring books. 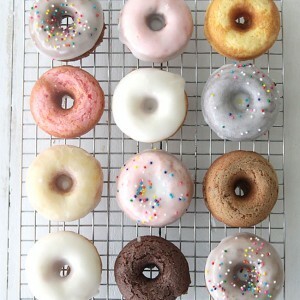 If you sign up for their email, they’ll send you free samples on a weekly basis! One of my favorite coloring sources, which I used when I was a teacher, is the series of “Anti-Coloring” books. They include many pages of semi drawn pictures, which children then finish according to the captions on the page, and then they color it. Tons of really neat pages and things to do. Highly recommend them. I also like to get the Dover coloring books. They have historical ones, animal ones, patterns of all kinds, and just anything you can imagine, and the prices are very, very good. I agree about anti-coloring books. 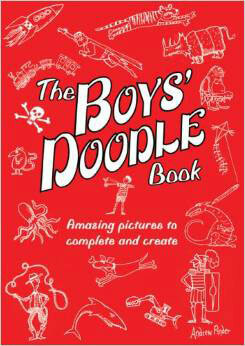 I love them because sometimes all a child needs is an idea for what to draw, and that’s what these books offer. I’ve been amazed to see what kids come up with when given just the beginning of a drawing. I printed out the street scene, circus and funny faces for my grandchildren yesterday and we had a lot of fun coloring, I colored with them for about an hour of quiet time, it was great. Great post! Will definitely use some of these in my art classroom.